At the age of 7, Dimpul Lakshmi was just another happy child, with school and friends and a normal life. All that changed when she got diagnosed with Chronic Liver disease, due to which her liver has completely failed. 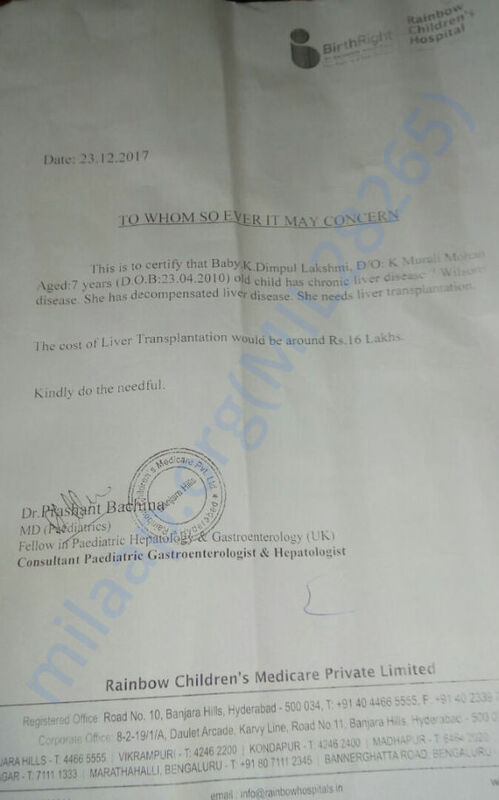 She now needs a liver transplant urgently to survive. She's currently being treated at Rainbow Children's Hospital, in Hyderabad. Dimpul's family belongs from a remote village in Chittoor district of Andhra Pradesh, where even access to medical facilities is hard. Everything happened so fast for Dimpul. 2 months ago, she started complaining of pain in her stomach. Murali Mohan, her father took her to a local doctor who prescribed some over the counter medication for the same. By first week of December, he saw that Dimpul's stomach was exceptionally swollen and was causing her a lot of pain. 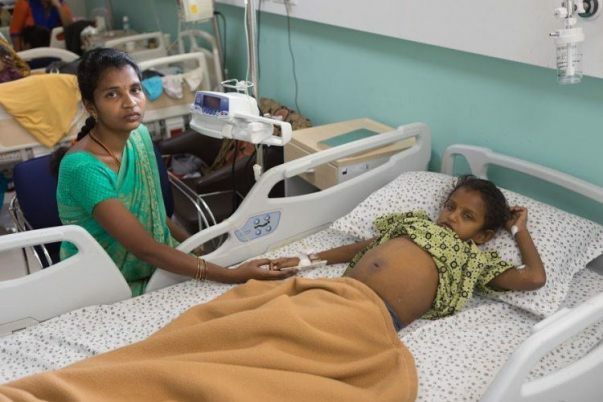 He rushed her to a hospital in Tirupati, which was the nearest accessible medical facility. Looking at her condition, they diagnosed her with jaundice. They immediately hospitalized her and put her on medication. After a week, when there was no improvement in her condition, Murali got furious with the hospital staff, asking them for a thorough evaluation. Upon inspection, they concluded it to be dengue. Dissatisfied with their diagnosis and care, Murali took Dimpul to Bengaluru, when finally upon running all the tests, the real problem came to the front. It was liver failure due to chronic liver disease. 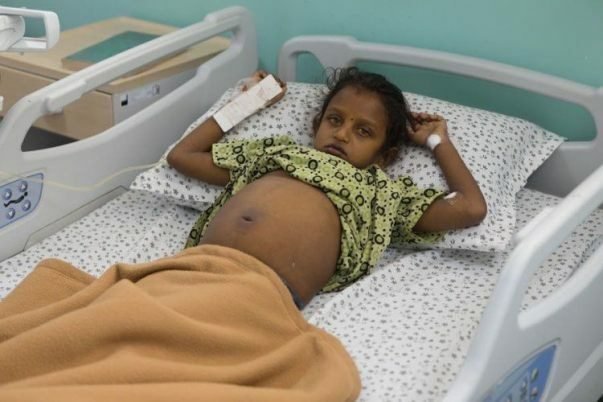 Doctors told Murali that his daughter doesn't have long unless a transplant is done urgently. 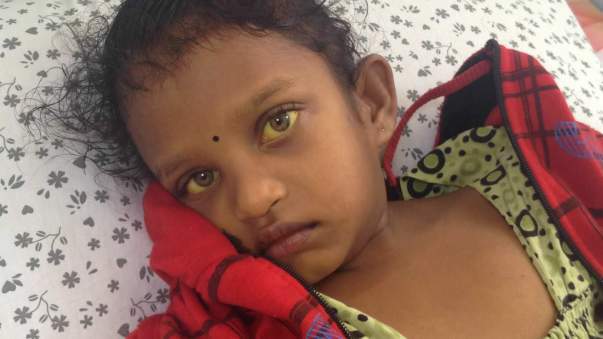 Dimpul's condition is worsening to the point where he eyes are completely yellow and her stomach is swollen. 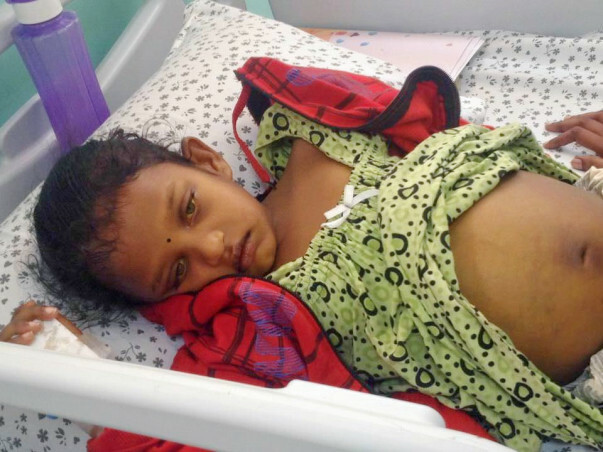 The only treatment for her now is a liver transplant which costs around 16 lakh Rs. Unfortunately, Dimpul's father does not have the funds to afford her treatment and needs our help to save his daughter. Murali is an auto-rickshaw driver who makes about Rs 7,000 a month. Within this limited amount, he’s been getting both his children - Dimpul and her younger brother Dinesh, educated in English medium schools. "I made my wife complete her B.Ed, not just so she could work and contribute towards the family income, but also because I understand how important education is for a better life. I am illiterate. I don't want my family to suffer because of this. But all his planning for his family’s future got thrown off tracks when Dimpul got diagnosed with liver failure." 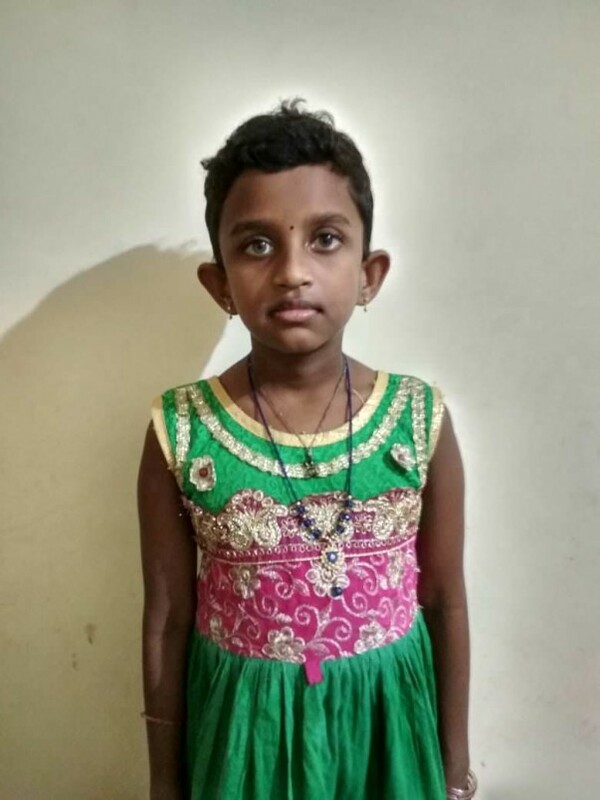 Your contribution can help Murali save his daughter. Dimpul is doing very good. She has gone back to her home town in April. She has started school also. She needs to go for a check up every month. Here is the recent photo of Dimpu. Thank you all for all the overwhelming love and support that you have shown towards my daughter, Dimpul. She is doing better now compared to earlier. She successfully underwent the transplant procedure and is doing good. I was the donor and her body is reacting positively to the stem cells. The doctors suggest that her recovery is on track and if her health stabilizes at this pace then she can be discharged by 30th January. Once again, I would like to thank all of you for all the love and support. Your blessings have helped us in this difficult time and your support is helping her in recovering faster. Would request you all to please pray for her speedy recovery. Thank you for the wonderful support you have shown Dimpul. She is doing better now and she will be undergoing the transplant procedure tomorrow. Her donor workup has been done and her mother will be donating a part of her liver to Dimpul. She has been discharged from today and will be undergoing the transplant procedure in Global Hospital. Will keep you posted. Thank you all once again for all the support you have shown Dimpul. Do pray for her health and the process to be a success.